We had both just left university and the world was our oyster. London was exciting, vibrant and full of promise. John wanted to be a trader in the now-defunct Bear Stearns. I, on the other hand, was stuck in the “what am I going to do with the rest of my life?” vortex that ensnares us all at some point between the ages of 17 and 70. We both held casual jobs, while trying to find our feet and still enjoy the delights of our hometown. John worked in a record shop and I had a variety of low-paid admin and warehouse jobs. It was a great time, despite the lack of funds. So back to his spending. He had a taste for designer clothes, Gucci loafers and high-end accessories. He used to walk around with a trendy satchel that was almost the price of a cheap suit, if I’m not mistaken. He wasn’t going into debt but he certainly wasn’t putting anything away. But looking back now on that time, his spending habits really weren’t as crazy as I had assumed then. Yes, he had champagne tastes and beer money. And some of his purchasing was a bit flashy. But he spent with intent. It was pretty inefficient and misguided, perhaps, but it was purposeful. The thing was, he had a plan. He had networked with people in banks, he’d been on training courses and this was simply an extension of that. Essentially, he was applying the principle of living “as if”. 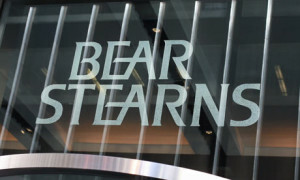 He always felt that if he was going to get a job at Bear Stearns he was going to have to look as if he deserved to be at Bear Stearns. As if he fitted in. Don’t dress where you are, dress where you want to be. That was his unconscious mantra. Essentially, he was applying the principle of living “as if”. 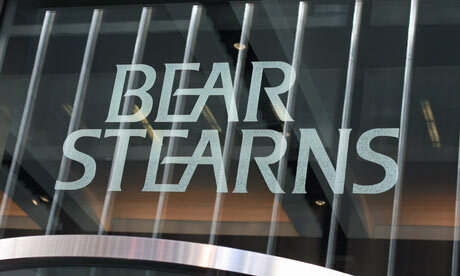 He always felt that if he was going to get a job at Bear Stearns he was going to have to look as if he deserved to be at Bear Stearns. As if he fitted in. Don’t dress where you are, dress where you want to be. That was his unconscious mantra. Ok, he never did become a banker. But he has done incredibly well for himself within the commercial sector. And time has probably given me a more favourable interpretation of his spending. This post could easily have been about people wasting money instead of saving. But it’s not this time. If I spoke to him now I’m sure he would justify the expenditure as simply an investment in his career. It was servicing a purpose. Plus, his spending calmed down once he started to move up the ranks in business. Maybe I’m being kind. Or maybe the lesson here is simply that we should all appreciate the “why” behind our spending patterns and be particularly conscious about such behaviour on our career journeys.